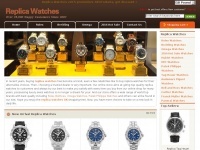 A total of 3 reviews for Ukswisswatches.org.uk have been written yet. The most recent reviews are listed below. On your 'my orders' page, did it say 'pending' right up until it was delivered, or did it change to something else? My payment has gone through and the order was about 10 days ago, but it still says pending. Also, how long did delivery take to you? I wouldnt if I were you. The money that comes out of your account is more than the price, due to currency changes etc, plus a non-sterling purchase fee. I haven't heard anything apart from one email where they denied that they even owned that website. Definitely stay away from these guys. Still nothing. Don't think I'll ever get it to be honest with you. Been 19 days, meant to be here in a week, so doesn't look good. Just ordered a watch from them, still pending after 2 days and no reply to emails, have I be n done...? Update, just received the watch. Not exactly the one I ordered but I'm just happy to have something for my money. Wouldn't go with these people again.